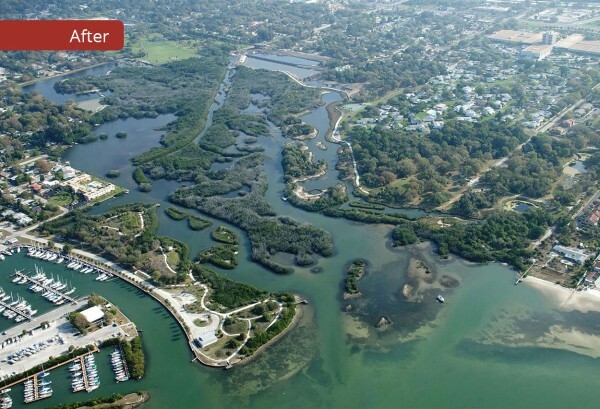 As the winner of the Natural Resource/Environment Award by the Tampa Bay Regional Planning Council, the Clam Bayou project was a collaborative effort between the SWIM Program of the Southwest Florida Water Management District (SWFWMD) and the Cities of St. Petersburg and Gulfport. EHC was the prime contractor for the $5.4 million SWFWMD project distributed among seven sites (44.14 acres). 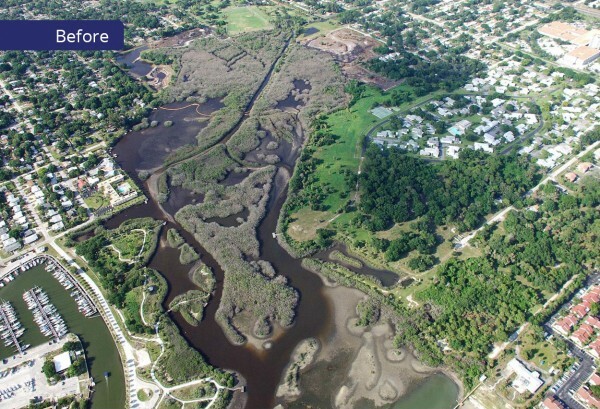 The project restored 24.14 acres of estuarine, freshwater, and upland habitats and removed over 600,000 tons of earth to provide 20 acres of stormwater treatment ponds that treat runoff from a 2,558 acre urbanized watershed.